After our initial chat, we are very happy to provide advice on sourcing your own fabric or if you prefer, we can direct you to our preferred suppliers to view what they have on offer. We can work together to achieve exactly the look you're dreaming of. In the first instance, call Karen on 07973 736 890 to discuss your requirements or use our Contact Form to arrange a home visit. 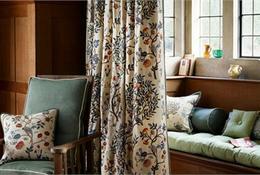 We specialise in made to measure curtains, roman blinds and soft furnishings to enhance and beautify your home. Find out a little more about us and how we can help turn your dreams into reality. If you've had a quote from somewhere else, give us a call on 07973 736 890 - run it by us and we'll do our best to beat it or suggest better ways of acheiving your requirements. We offer quality advice and service with a practical approach. We excel at providing economical solutions and beautifully finished curtains. 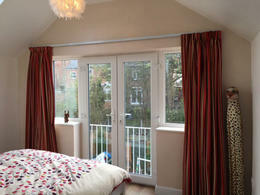 We provide a bespoke curtain making service to all areas of Nottingham with choice curtains at very competitive prices. 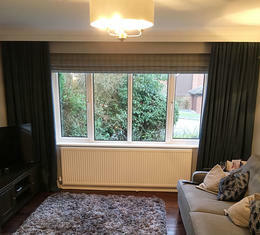 A lovely curtain and blind project involving brushed velvet and voile. Is It Curtains For Your Curtains? Spring is a time for taking a fresh look at your decor. 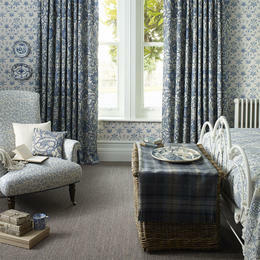 With longer and hopefully brighter days, now is a good time for new curtains and soft furnishings. 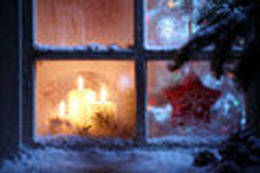 Creating Perfect Christmas Windows - Not Many Sleeps To Go! Fresh & vibrant yet over 120 years old. A block print wallpaper design now available as a fabric. 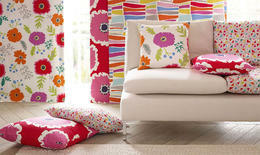 We're really excited by the Papavera range by Sanderson. Continuing with the bold patterns inspired by nature and with a nod in the direction of 1960s neon, Sanderson really have brought together a remarkable collection.